About 40,000 people paid $38.50 (Cdn) to see the marathon Monsters of Rock show at the Seattle Kingdome last Wednesday (July 27). My calculator blew up when I tried to figure out the night’s take, but I do know that the Kingdome is capable of holding a lot more people (closer to 70,000, I believe), so the show wasn’t quite the commercial success it might have been. 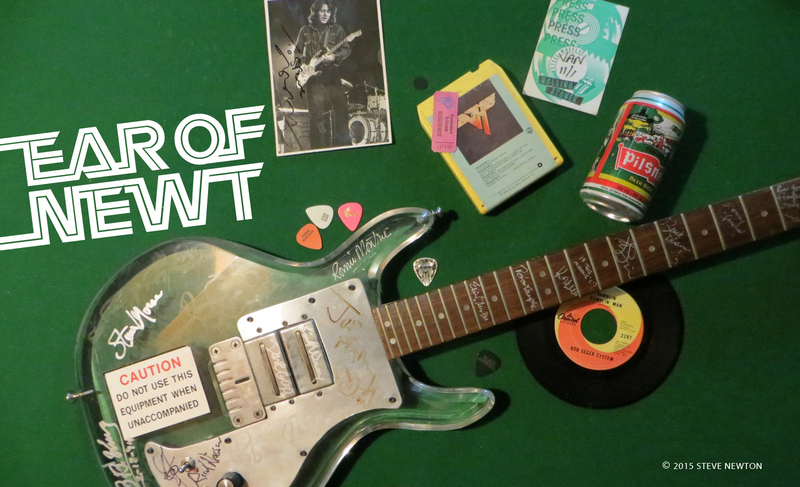 But as a once-in-a-lifetime treat for riff-hungry young metalheads, it was definitely worth the investment. Heck, you can easily dish out 25 bucks to see just one band nowadays. 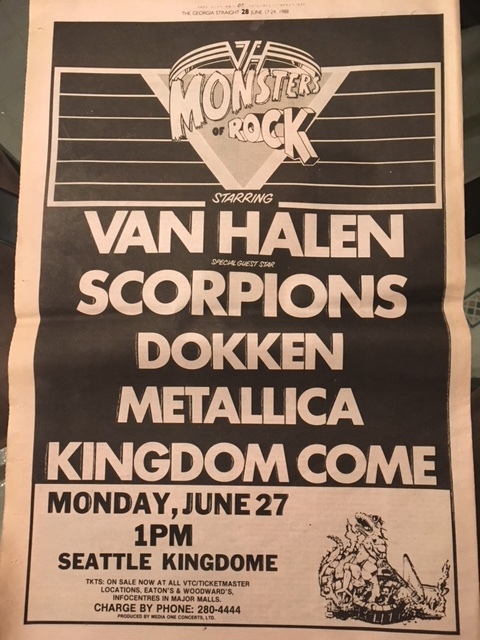 And of the five groups at the Kingdome last week–Van Halen, Scorpions, Metallica, Dokken, and Kingdom Come–there’s at least one that most hard-rock fanatics would kill to see. 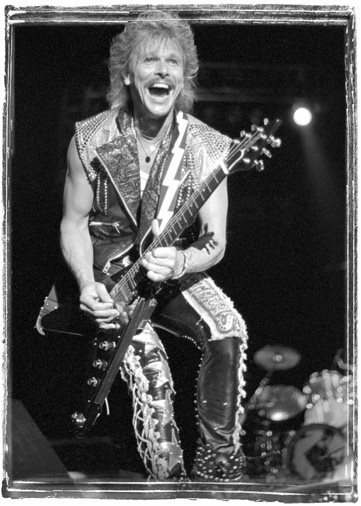 Mine was the Scorpions, and as expected they put on a stronger show and were better received than headliners Van Halen. Both are fine bands, of course. The main difference seemed to be in their energy levels, which the crowd–especially those crammed together on the vast Kingdome floor–responded to in kind. The stage itself was an enormous structure reaching from one side of the dome to the other, with three-storey-high speaker columns as bookends. (Three such stages were leapfrogged across the country to accommodate the many back-to-back concert dates on the Monsters of Rock tour.) If you’re into figures, the total weight of the equipment being shipped around for the tour is 971 tons, and is carried by fifty-one 58-foot-long trucks. About 250,000 watts of sound and 850,000 watts of stage lighting are also being used. Needless to say, the concert was loud and bright. Most of the pyrotechnics were saved for headliners Van Halen, of course, including an endless array of giant sparkles that cascaded over the stage. Most of Van Halen’s set featured material from their new album OU812, but they also went back to such faves as “Panama” and “Running With the Devil”. The Scorpions weren’t allowed an encore, unfortunately, even though the crowd had made an even bigger racket for them. When the house lights went on, cutting off any chance of the Scorps’ return, the action was followed by a heavy chorus of boos. It gave one the impression that someday Germany’s favourite sons could well headline their own Monsters of Rock tour. You can bet I’d be right there for that one too. no wonder the place was only half full the other half showed up on June 27th!